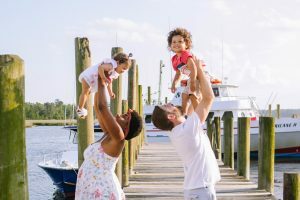 My kids arent the biggest on seafood and neither am I…..until you introduce shrimp. 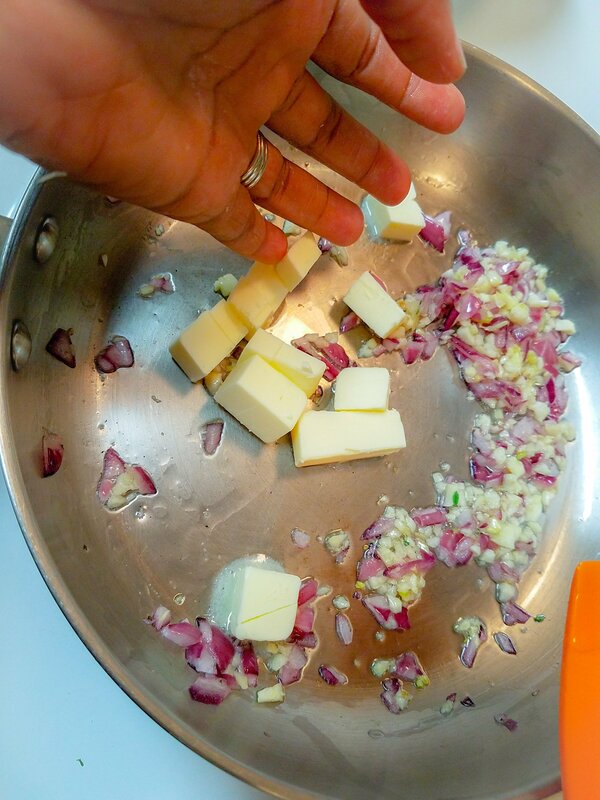 Then you merry that with silky butter, fragrant garlic & fresh herbs….oh man. Heaven on a plate in under 30 minutes! 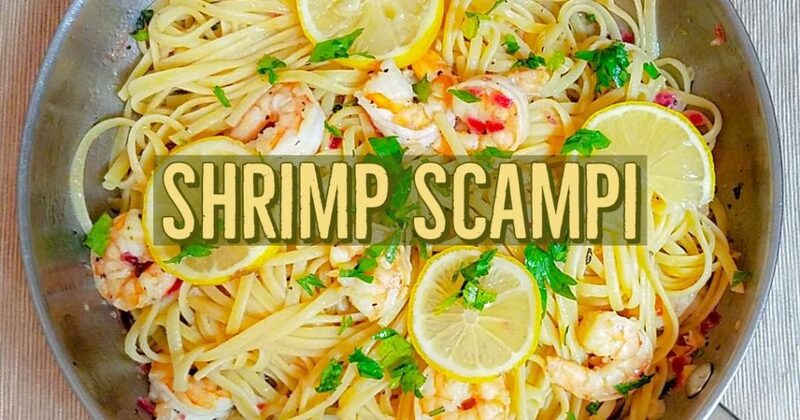 Shrimp Scampi is a quick and delicious meal the whole family will love!!! 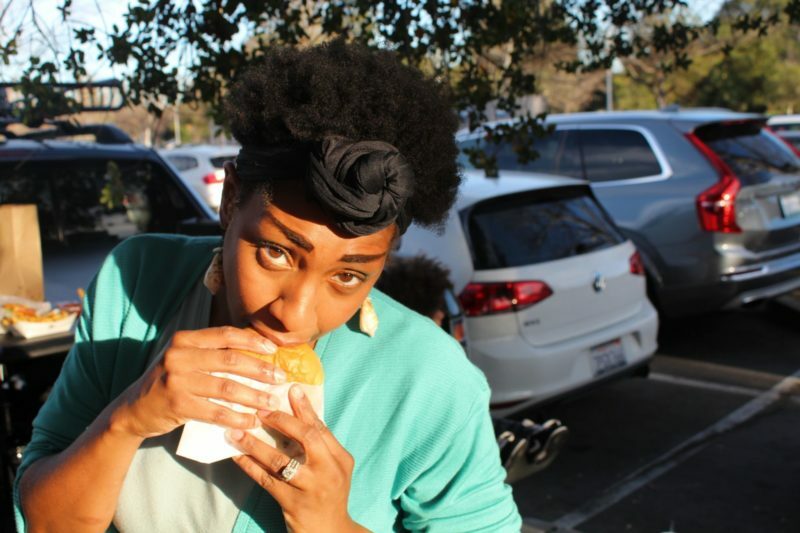 Omg its just sooooo delicious!! First and foremost, get a large pot of water to a roiling boil and salt it well. 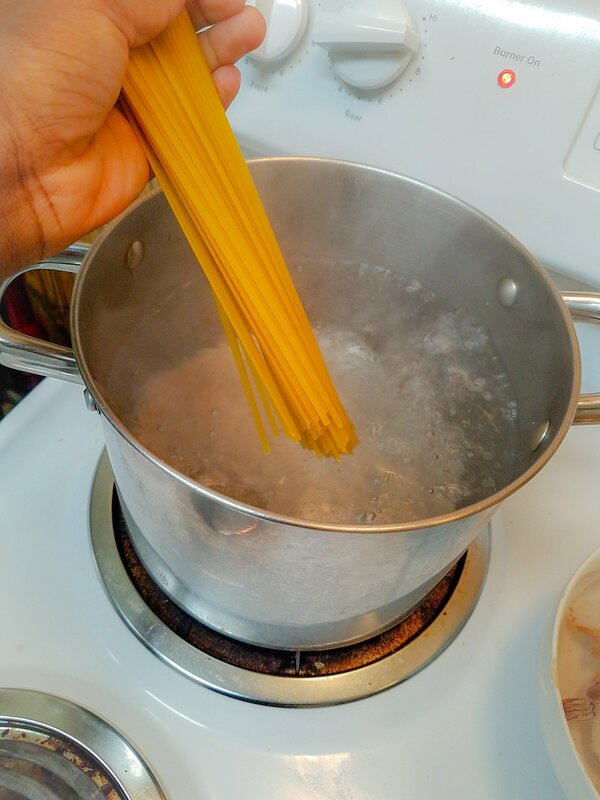 Drop the pasta, cook according to package directions and rinse well in a colander. Make sure you rinse the shrimp well and devein if necessary. 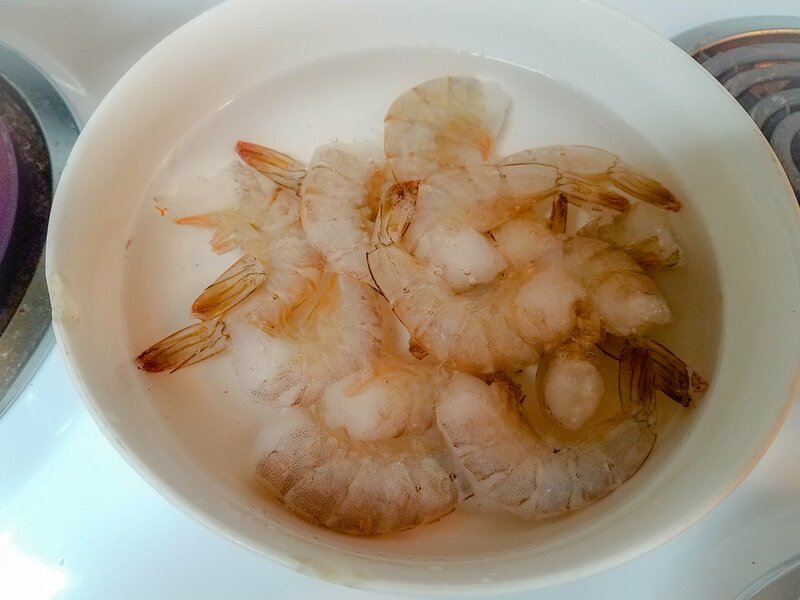 I use frozen shrimp that is already deveined so I am ready to GO. Frozen shrimp thawing out in water ready for some BUTTER!!! 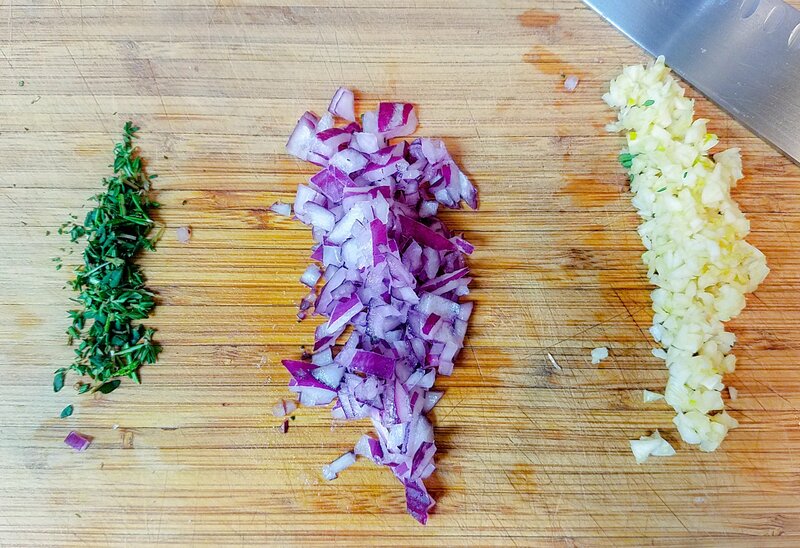 Chop the red onion, garlic, rosemary and thyme while getting a saute pan over medium heat with 2 tbsp oil. 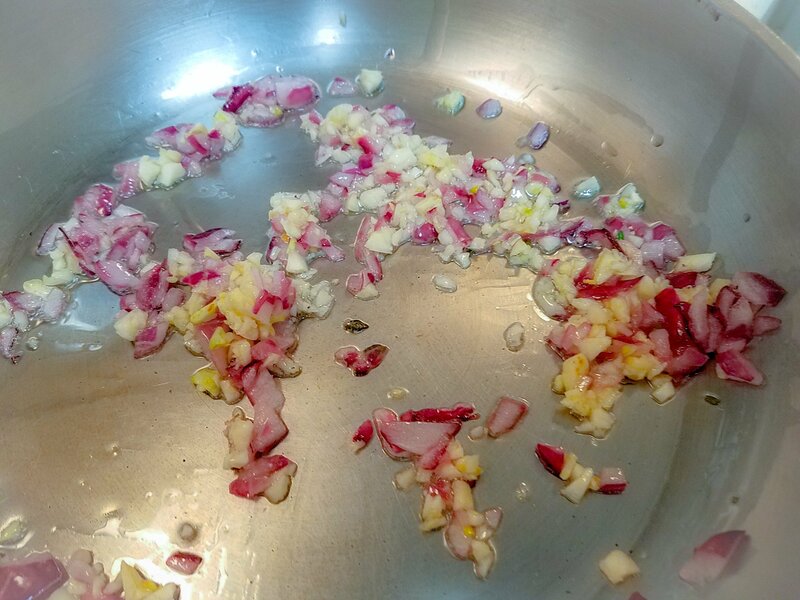 Cook the red onion for about a minute until it is translucent and then drop the garlic in for about 30 seconds until fragrant. Garlic and red onion sauteed in oil smells divine! Add in 3 tbsp of butter chopped into cubes so it will melt down quickly while stirring. Butter makes this dish rich and silky….yum! 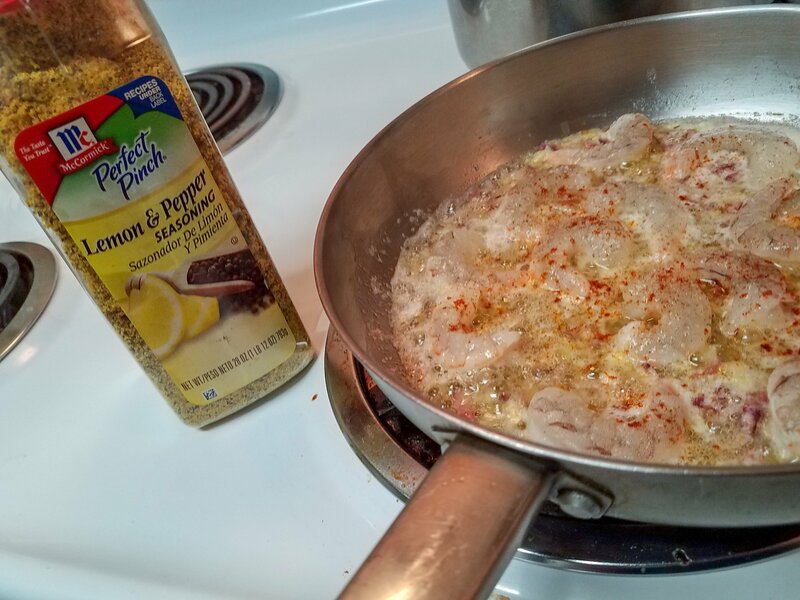 Once the butter is all melted, add your shrimp in and sprinkle the seasonings all over. Seasoned and almost ready to turn! Turn the shrimp after about a minute or until the underneath of the shrimp is pink. Once the shrimp has poached in the butter for about 2 minutes, add in the chopped rosemary, thyme and pasta. Garnish with parsley, lemon slices and juice and lastly….dig in and enjoy! 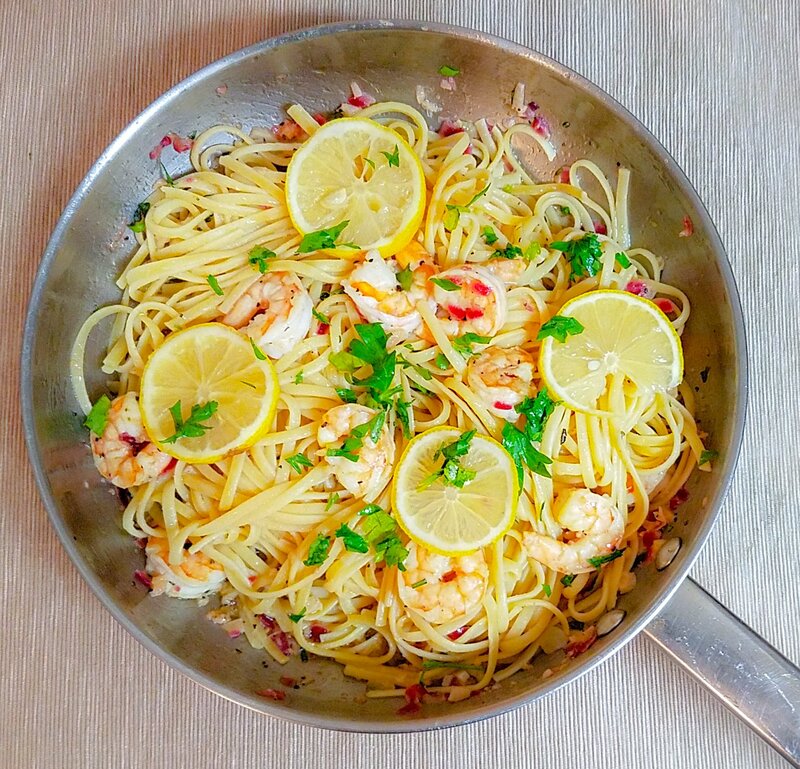 Shrimp Scampi and allll its glory! 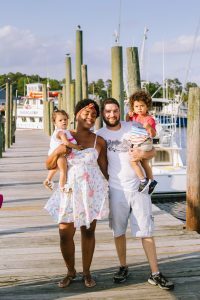 I hope you enjoyed this recipe and please leave me a comment or email me with any questions that you may have! 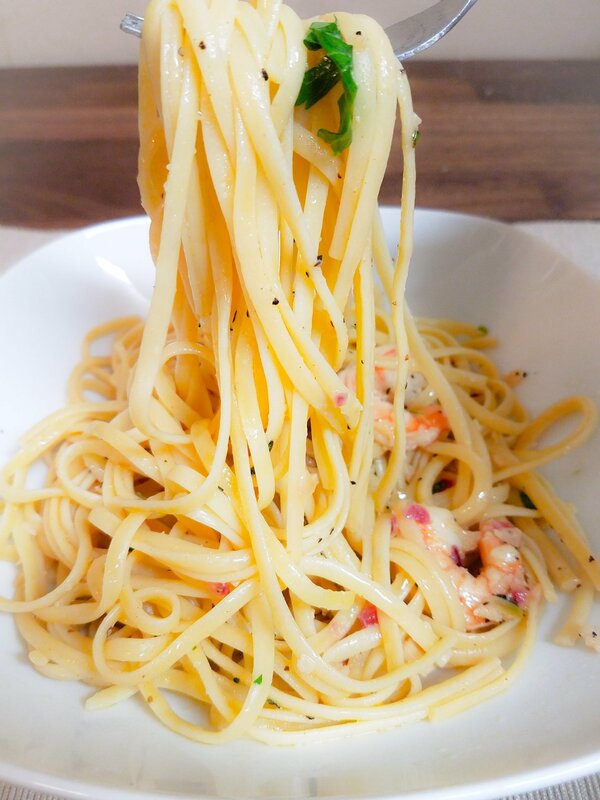 This looks absolutely amazing and looks so simple to make.. definitely adding this to or dinner menu this coming week!